Maintaining optimum safety standards when running a spa is the most important duty a spa owner and manager must fulfill. Adhering to state and federal regulations is required by law and anything less can result in criminal violation. It is also good business. Clients deserve the very best and that means a clean and safe environment. The benefits of following regulations are not only for owners and managers. Everyone on staff should be on board when it comes to following safety procedures. Spa safety is not just for the safety of the clients. State and federal regulations are also in place for the safety of the workers. For worker safety regulations, The United States Department of Labor Occupational Safety and Health Administration (OSHA) website is a good place to start (osha.gov/law-regs). It can seem daunting to know the differences between state and federal regulations. Professionals should check with their state cosmetology board for the most up-to-date information on proper cleansing and disinfection of their establishment. In addition, the Environmental Protection Agency (EPA) requires proper cleaning and sterilization procedures and disposal of materials (epa.gov). In addition, proper ergonomics and spa layout, as well as the way a facial room is organized, are also important for overall safety. Here are 10 safety tips to consider when reviewing spa safety measures. It is not just about looks. The design of a spa is not just about creating a relaxing, luxurious environment for clients and staff. 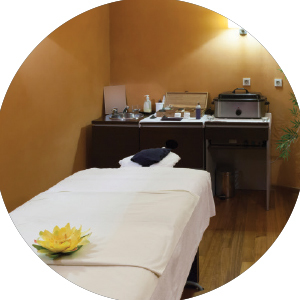 A properly constructed and equipped treatment room is also an essential part of spa safety. First, a healthy, properly ventilated work space is essential. Fumes from skin care treatments, as well as cleaning and disinfectant materials, must be properly eliminated. Air vents must be present in the room, providing both input and output of air. This means having two separate vents that are properly functioning and calibrated for two or more people within the room. 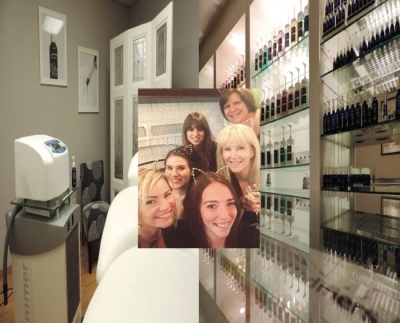 When it comes to size, the treatment room should be at least 80 square feet (8 X 10) to insure proper movement of the aesthetician in the space. Neither the professional nor the client should ever feel cramped. Electrical outlets are also an important consideration. With the use of more and more electrical machines, as well as computers, within the treatment room, the proper amount of electrical outlets, with subsequent appropriate electrical service capability, is essential to the proper functioning of the treatment room. Treatment rooms should have a minimum of four separate electrical outlets. Never use extension cords or multiple plug appliances within the room, as these can overheat and become a fire hazard. Always be sure that all wires are not in the way of the professional or client. Ergonomics are another element of spa safety. The equipment and the positions professionals use should be healthy for the spine and body. Adjust the facial table height, if possible. When setting up, remember to align the stool with the facial table for the correct height and position for performing services. The technician’s feet should be flat on the floor and hands should be below chest level. A good stool, with back support, is essential for aesthetic work. It is worth paying a little more for a well-padded and quality stool. The room setup should be comfortable for the technician to avoid strain on the hands, body, and back. Arrange the supply cart or counter as close to the facial table as possible. Know the difference between disinfection and sterilization. Disinfection is the treatment of a surface to destroy potentially disease-causing microorganisms. Sterilization is the process that destroys all microbial life. A wet, EPA-registered disinfectant must be located in each treatment room for disinfecting tools and equipment and all implements must be thoroughly cleaned before being placed in this disinfectant solution. It is important to note that an ultraviolet sanitizer unit does not disinfect tools and is only used for storage. Guidelines for proper disinfection, cleaning, and sanitation should be posted in several areas of the spa. Keep a protocol of proper procedure in each room. Clean and disinfect after each use using a state regulated disinfectant or 70 percent isopropyl alcohol solution. Also, change the high-level disinfectant solution in the container according to the manufacturer’s directions. It is important to keep a disinfectant log to make sure this is done regularly. Properly dispose of used supplies in a closed lid trash can. Make sure to turn off the table warmer, if it was used. Clean, turn off, and unplug wax machines at the end of each day. Disinfect steamers and magnifying lamps. Disinfect bottom trays and inside of the towel warmers after removing all used items. Disinfect and turn off any other equipment used. Clean all containers and wipe off dirty product containers with a disinfectant. Clean all counters, sinks, surfaces, and floor mats with disinfectant. Appropriate handling of single-use items involves the following: soiled items such as gloves and extraction supplies must be placed in a covered waste container; while in use, single-use items must be placed on surfaces that can be disinfected or disposed of, such as a paper towel; disposable extraction lancets go in a biohazard/sharps container. Be vigilant about gloves and hand washing. OSHA requires that gloves be worn when there is a reasonable likelihood that hands will be in contact with blood, mucous, non-intact skin (such as open acne lesions), possibly contaminated items, or contaminated surfaces. Gloves should be properly put on and worn during treatments and during cleaning and disinfection, removed properly, and discarded in a closed receptacle, followed by a thorough hand washing. When looking to buy proper gloves, consider: fit – if too loose professionals will not be able to perform facials or body procedures correctly; proper material – because of the increase in latex sensitivities both in the aesthetician and client, opt for vinyl gloves; non-powdered – studies show that powdered gloves actually absorb the infectious microorganisms rather than block or repel them. Keep in mind that frequent, proper hand washing is the first and most essential preventative measure to control and prevent the transmission of germs. Wash hands in antibacterial soap for sixty second before and after every client contact. Properly dispose of any item containing blood or other bodily fluids, as well as sharp objects such as lancets. This is regulated by OSHA. It is important to know and understand not only OSHA regulations, but state regulations, as well. For example, some states do not allow lancets to be used during facials. If lancets are permissible, they must be disposed of after every use in a specific disposal unit called a sharps box. Other items, such as cotton or swabs, must be disposed of in a biohazard container if they have been in contact with blood or other bodily fluid or materials. It is important to check state regulations, as well. An autoclave is a sterilizer for implements that completely kills all microorganism including bacteria, fungi, viruses, and bacterial spores. An autoclave sterilizes by providing pressurized steam. All reusable implements need to be sterilized in between treatments. Professionals who do not have a sterilizer or autoclave should not use reusuable implements. Proper cleaning, maintenance, and testing of a sterilizer are important to assure proper sterilization and to fulfill state regulations. Some states require weekly testing with state regulated materials. Check with state boards to ascertain what is required. In addition, follow the sterilizer’s manufacturers’ guidelines for daily, weekly, and monthly cleaning and maintenance to assure the machine is working at optimal level. Lack of maintenance can cause high and frequent repair costs. A lack of maintenance will also lead to deterioration and excessive wear of the contents being sterilized. Use disposables. Using disposable items is the best way to ensure proper hygiene. Single-use items are disposable and can only be used once. Supply usage depends on each individual facility and may include the following: paper towels; client headbands to protect hair and hold it out of the way; personal service towels to drape over clients and to keep the work area clean; sterile cotton pads or single-use sponges to remove product from the skin; sterile gauze squares for use with certain facial treatments; sterile cotton pads for cleaning and for product application; medical grade tissues that do not contain fragrance or dyes for blotting the face; sterile cotton swabs for performing extractions (these can have wooden handles for extra strength); makeup sponges for applying makeup post-procedure and for applying product; disposable vinyl or nitrile gloves; a sealable plastic bag for proper disposal of single-use items; and lancets (see state regulations for extraction rules). Safety data sheets are informational forms regarding every skin care product, both retail and professional, used in the spa which includes: the product name; product code; ingredients; relevant use of substance (cosmetic/skin care); restrictions on use as directed on product label; supplier details, like address; and emergency contact information, such as a phone number for the manufacturer. These also give details such as the identification of any hazardous substances, precautionary statements, first aid measures, accidental release measures, proper handling and storage. These should be kept in a binder or on the computer within the treatment room for easy access in case they are needed. Although skin care ingredients are fairly innocuous, standard procedure requires that these sheets also provide information on exposure control, physical and chemical properties, stability and reactivity and toxicological, ecological, disposal, and regulatory information, both national and international. No double dipping. Proper hygiene is extremely important during waxing. 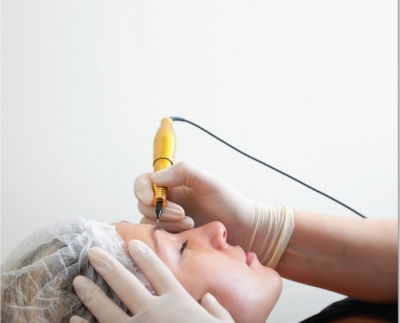 The skin is more susceptible to infection during hair removal, as the hair is removed, and the follicles are opened. It is crucial to remember that although the wax pot is getting warmed and liquified in a heater, the temperature is not to the degree which kills germs and bacteria. The proper temperature to kill all bacteria is 100 degrees Celsius or 212 degrees Fahrenheit, far too hot to apply to the skin without burning. It is for this reason that the environment and instruments used to wax must be absolutely clean. Federal law says to treat everyone as though contaminated and to use preventative measure to prevent cross contamination. 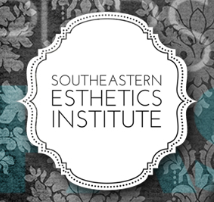 It is important to remember that, for the client’s and aesthetician’s safety, the proper protocols should always be implemented. Wash hands before and after each client, using liquid, antibacterial soap for at least 10 to 15 seconds. Use gloves to ensure the professional’s safety and the safety of the client. Use non-latex versions and make sure they properly fit. It goes without saying, but must be said again: no double dipping. All non-disposable instruments must be sterilized in a sterilizer or autoclave before and after treatments. This includes metal spatulas, tweezers, and body brushes. Disposable items must be kept in a closed environment near the waxing station. Each treatment requires a fresh disposable sheet, towel, and paper covering. Clean and dust the treatment room each evening before going home. Remove all wax residue from the floor, trolley, and pot. As professionals keep these 10 spa safety principles in mind and put them into practice, they will ensure a safe environment for all. 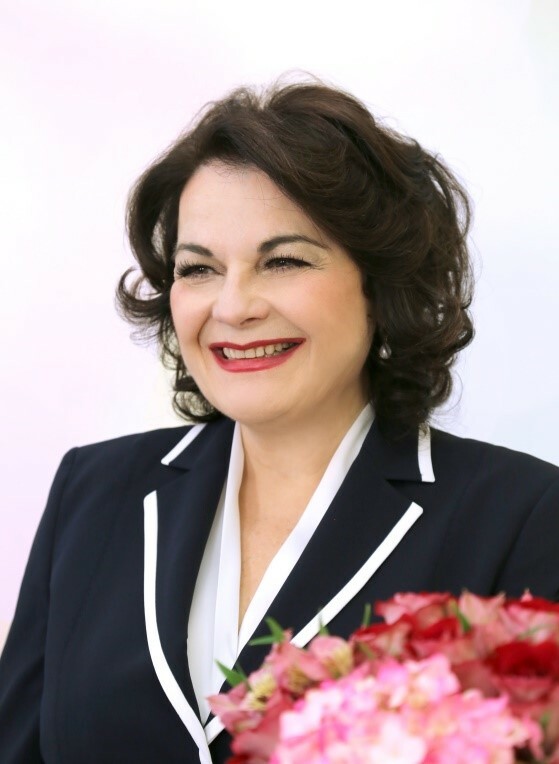 Lydia Sarfati is a master aesthetician and the founder and CEO of Repêchage. Sarfati is an international industry leader and the developer of the world-renowned Repêchage® Four Layer Facial. Today, together with her husband David Sarfati, co-founder and COO, Sarfati oversees a 50,000 square foot manufacturing, research, development, and training facility in Secaucus, New Jersey. She appears nationally and internationally at aesthetic tradeshows and attends and conducts overseas conferences in Asia, Europe, the Middle East, Central America, and South Africa.